Thyristor and Diode Modules CD420860B Thyristor and Diode Modules Powerex SCR Diode Modules are designed for use in applications requiring phase control and isolated packaging. 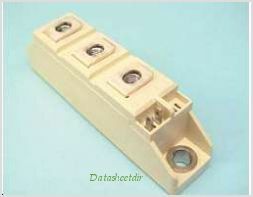 The modules are isolated for easy mounting with other components on a common heatsink. TM POW-R-BLOK has been tested and recognized by the Underwriters Laboratories. By Powerex, Inc. This is one package pinout of CD420860B,If you need more pinouts please download CD420860B's pdf datasheet. CD420860B circuits will be updated soon..., now you can download the pdf datasheet to check the circuits!